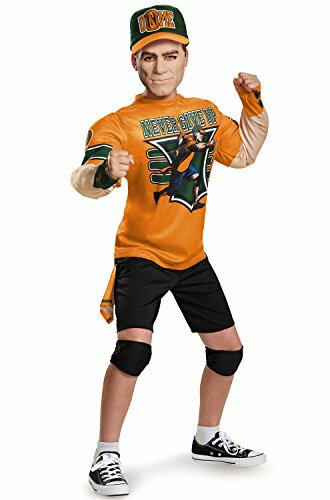 Child John Cena WWE Wrestling Halloween Costumes. 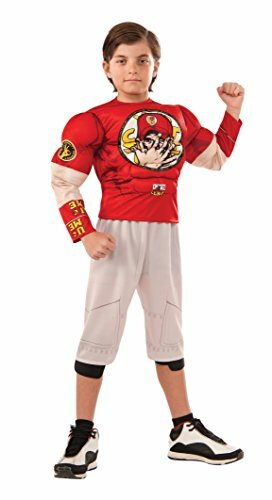 Your son can dress up as the most popular WWE Superstar wrestler currently on the WWE roster – John Cena for Halloween with this muscle chest costume kit for children. 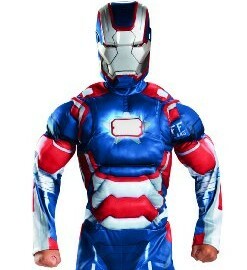 Kit includes a John Cena muscle chest t-shirt with a Velcro closure in the back. 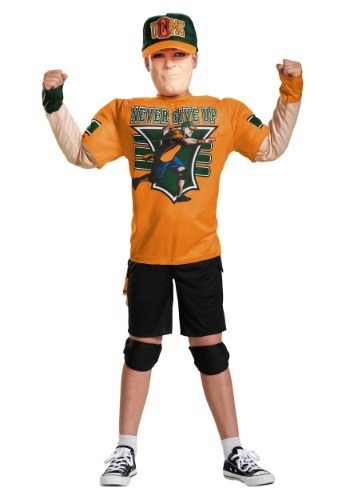 Plus, a John Cena logo hat is also included with this child’s Halloween costume kit. 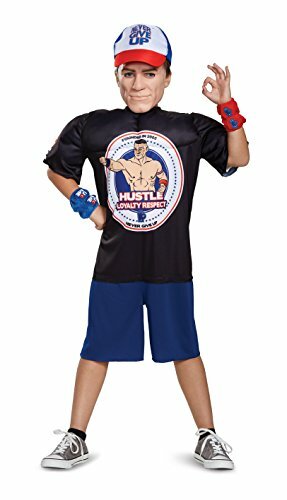 All your son will need is a pair of shorts, socks and shoes to pull off these John Cena WWE wrestling Halloween costumes. 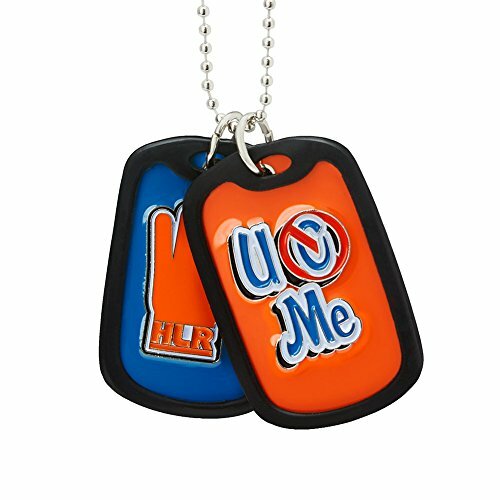 This is an officially licensed WWE product. 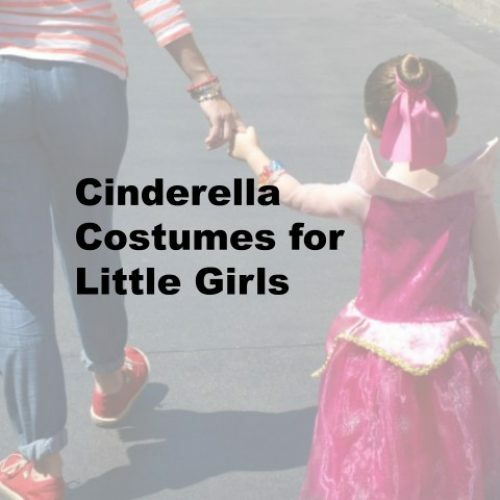 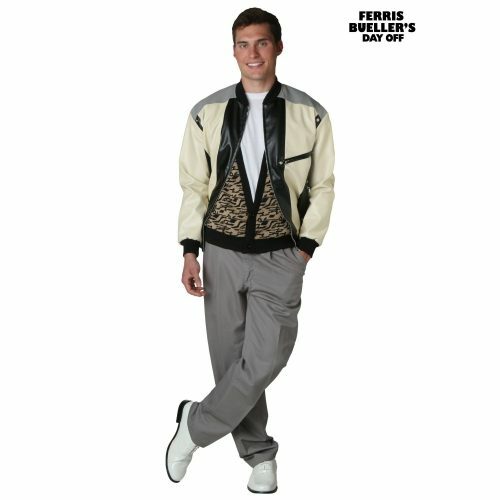 It’s a great quality product intended to be worn as a costume. 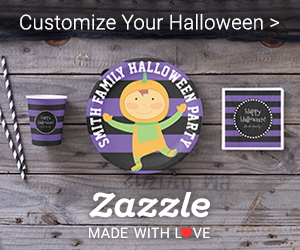 It’s great for Halloween or playtime for your son. 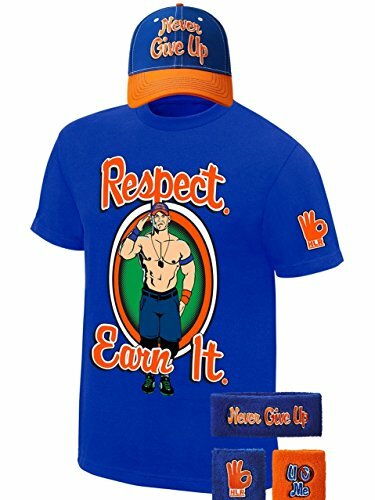 Hustle, loyalty, and respect is the mantra that John Cena lives by. 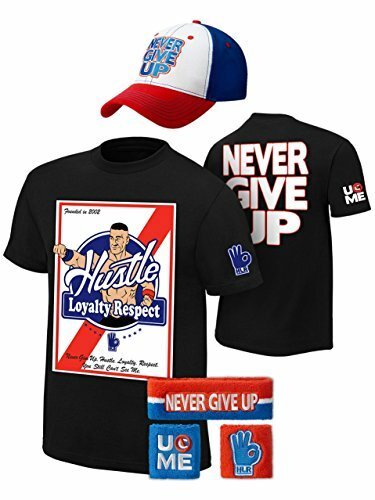 His t-shirts are printed with slogans like Never Give Up and Rise Above Hate. 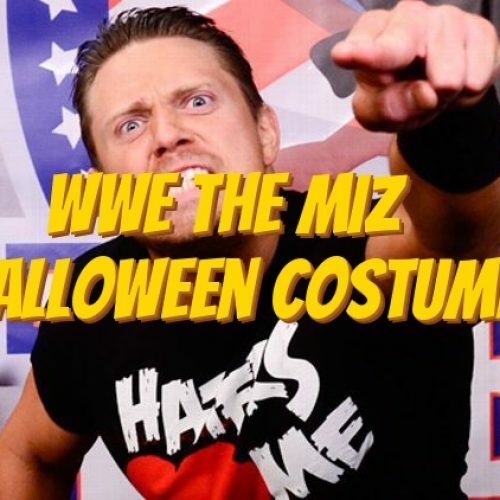 John Cena has granted more Make A Wish wishes than any other superstar in the WWE. 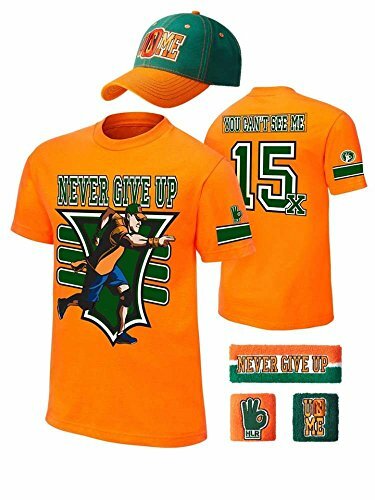 Making John Cena a great role model for young boys. 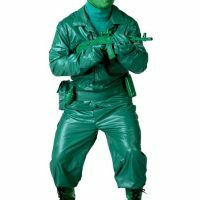 Here is a John Cena Halloween costume for kids. 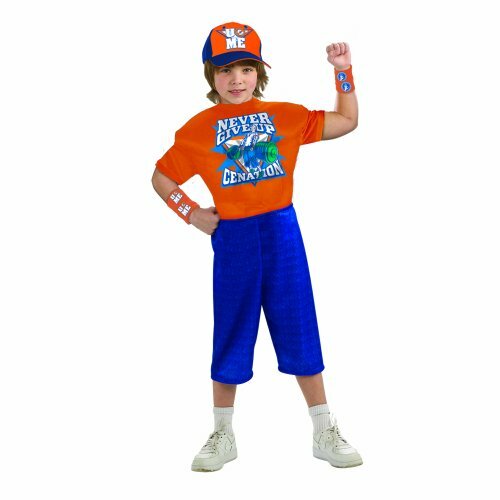 Here are more choices for child size John Cena Halloween costumes. 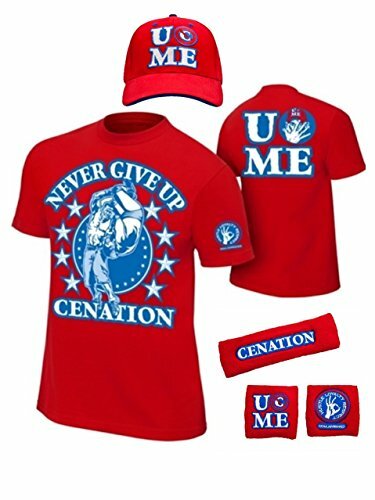 Plus some John Cena t-shirts for those of you who are making your own unique John Cena costumes for Halloween. 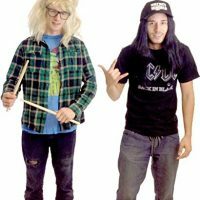 John Cena Costumes from other Retailers! 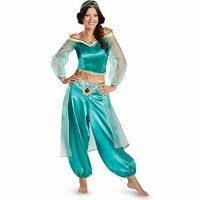 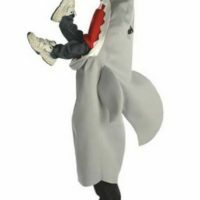 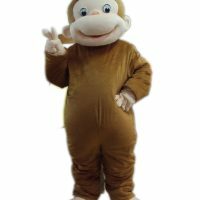 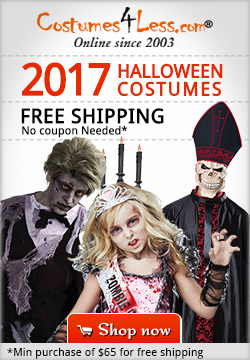 Amazon is not the only place to find great deals on Halloween costumes. 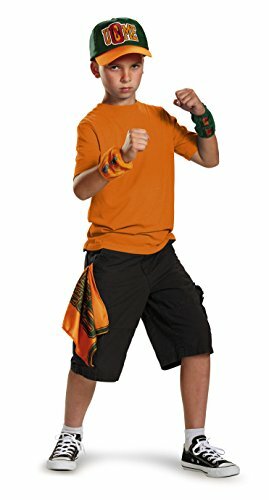 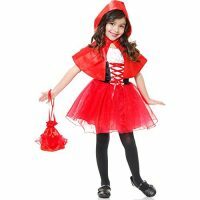 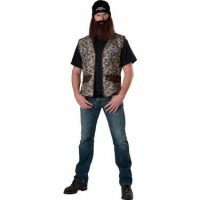 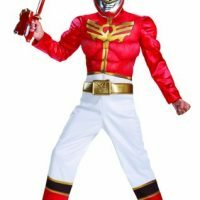 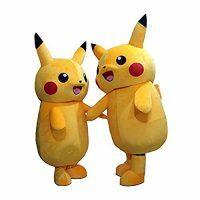 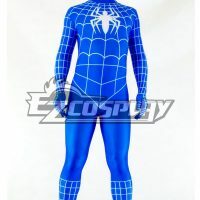 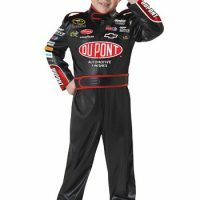 You can also find John Cena costumes for boys from other retailers online as well. 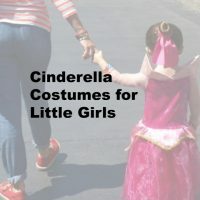 Check these sites before you order. 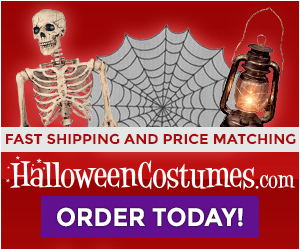 You might save yourself a few bucks!